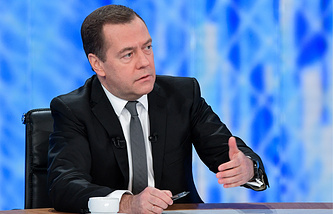 Medvedev also said that Russia currently has a "generally strong economy"
MOSCOW, December 6. /TASS/. 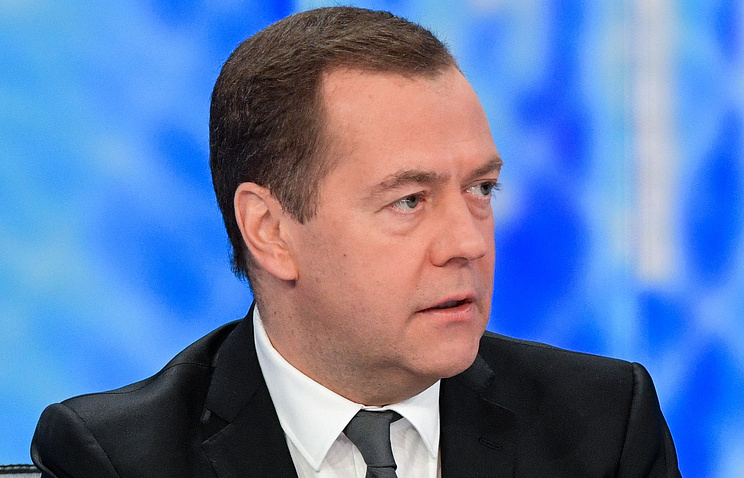 The United States and several other countries are 'putting a spoke in Russia’s wheel’ of development, although other states understand that sanctions are harmful for everyone, Prime Minister Dmitry Medvedev said in a live interview with Russian TV channels. "Let’s be honest, some governments are "putting a spoke in (our) wheel." These are the US government, the US Administration, and the governments of several European countries," he stated. "But other countries have a much more adequate approach, actively noting that all these sanctions have caused great damage." "Do you know how much this damage is costing everyone? Nearly $100 bln," Prime Minister Medvedev stressed. He also said that Russia currently has a "generally strong economy, an economy of a rapidly developing country", which should primarily rely on domestic sources for development. "The Russian government still welcomes foreign investment," Medvedev added, pointing out that it is not just the Asia-Pacific region that invests in the Russian economy but also its European partners, and even the US "relations with whom are not really warm at the moment." The premier emphasized that all these investors plan to stay in Russia and develop their business.